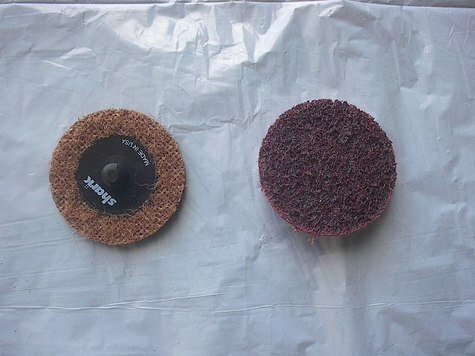 STAR-BRITE DISCS SUNFACE PREPARATION PADS. 620T 2" COARSE-BROW. 622TB 2" MEDIUM-BURGUNDY 25/PK.